When asked what is a top priority for a user selecting a powerchair, most will undoubtedly say ‘reliability and performance’. 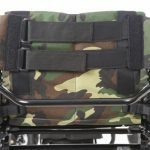 These are two key features that will make the difference in a user’s day to day lives and both aspects rely on a very special component in the chair… the battery! At Invacare, we spend a great deal of time at the design phase to ensure that our powerchairs have an excellent overall life span. 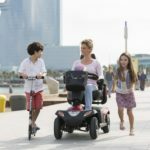 But in order for users to feel the benefit of that, the powerchair needs to be properly maintained and looked after – starting with the batteries. Sometimes your powerchair battery can be out of sight and therefore out of mind, but it is the heart of your chair. Just like your own heart, batteries work hard to keep your chair in motion. And if something goes wrong with the battery, the whole chair can be affected by decreased performance or decreased reliability. There is a lot of mis-information out there about batteries, so we wanted to create something that would help our users and answer the question: “What is the best way to look after my powerchair batteries?”. 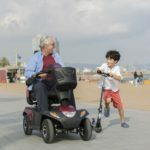 Watching this video will give you tips on prolonging the life of your battery, helping to make your chair more reliable and durable, performing better for longer and maintaining the levels of independence you can expect from an Invacare powerchair. With proper care, your Invacare batteries should last at least two years, but not looking after them correctly could shorten that life span by half! It is really important to charge your battery for at least 18 hours before the first use. After that, 12-hour charging cycles are recommended where possible. Your batteries will only reach their full capacity after 10 to 20 charging cycles. Charging your batteries every night ensures maximum power each day – don’t worry, you can’t overcharge your Invacare battery! Maintaining a consistent speed whilst driving your powerchair will put less drain on your battery. Where possible, avoid draining your battery by more than 80%. Use the charger supplied with the chair. Don’t use cheap imitations as they can damage your battery and your powerchair. When possible, don’t charge the battery in conditions under 10 °C or over 30 °C. We always recommend that, if you can afford to take the time, users read their user manual to learn more about how to take best care of their powerchair. Invacare’s mission is to make life’s experiences possible and we hope that, through things like this video and this blog, we are providing all the information people need to assist in that mission.